Yes, they look like they could be brothers. 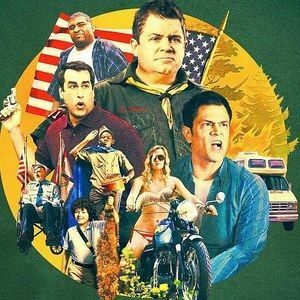 Johnny Knoxville and Patton Oswalt star in Nature Calls, a new comedy from director Todd Rohal that finds the on-screen siblings squabbling over a scout troop. We have the first poster, which offers up some of the hilarious antics that will be on display in this rollicking ode to Meatballs and Wet Hot American Summer. It also marks the late comedian Patrice O'Neal's final foray into cinema.